Ice cream brand Ben and Jerry's has opened its 'Summer in Soho' pop-up in London for a four-month residency. Ben and Jerry's latest pop-up 'Summer in Soho' opened yesterday (4 July) and will invite guests to try its ice creams for four months. To celebrate the launch of the pop-up, which is located on Wardour Street in central London, the brand will be giving away free ice cream to visitors on 6 July. Ben and Jerry's is calling the activation 'Free Scoop Day' and customers will be able to choose from any of the brand's flavours. 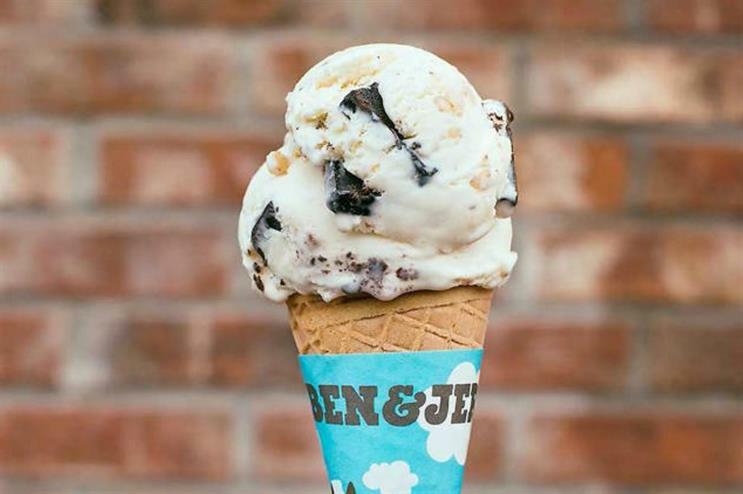 As well as serving the classic offerings such as Cookie Dough and Chocolate Fudge Brownie, Ben and Jerry's has also created bespoke Soho-only flavours for the pop-up, such as Sweetest Peace - a raspberry cheesecake ice cream with chocolate peace signs and ampersand chunks. More: In May, Häagen-Dazs opened the doors to its My Extraordinary Life pop-up, which aimed to find the best ice cream photographer. Last month, Alpro hosted an ice cream oasis to mark the launch of its new ice cream product.